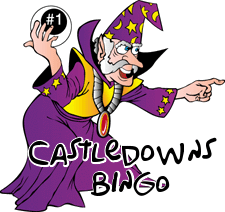 At Castledowns Bingo. We have our touch of magic!!! Find out below what is happening at our weekly line up? HALF PRICE PAPER, GECKO & BALLS FOR EVERYONE! Our important info for our games! Check out our grand jackpots here! Find out who is calling your favorite game! Click here to see what we have for loyalty rewards!